Explore a new world of photography with SIGMA Quattro. Photography is an art accessible to everyone. For this reason, we wanted to create a camera that would allow everyone to experience the true essence of photography and provide them with the opportunity to take the perfect picture. A camera that is approachable, convenient and also excellent. It would make people simply love to take pictures, while no doubt being quite a bit different from the typical camera. However in order to revolutionize people’s passion of photography, we needed to give them the opportunity to experience the revolution for themselves. We have teamed up with a number of retailers throughout the UK to offer a free three day ‘test drive’ of the latest Sigma Quattro cameras. The following retailers have committed to stock a selection of Sigma digital cameras and accessories. 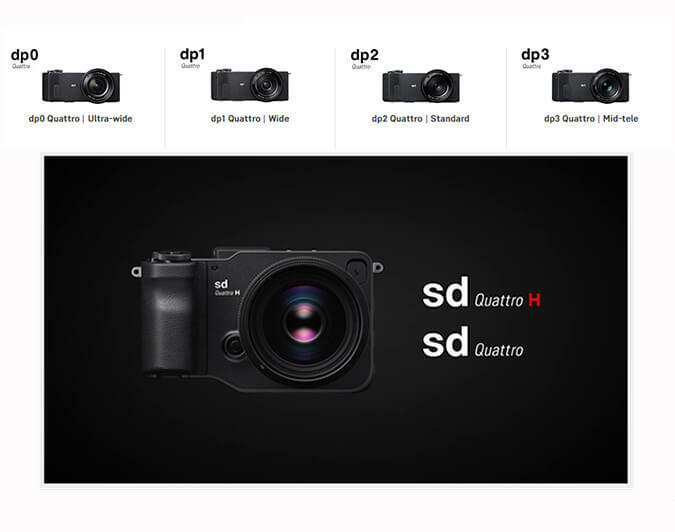 The Sigma sd Quattro, sd Quattro H, Sigma SD1 Merrill, dp0 Quattro, dp1 Quattro, dp2 Quattro, and dp3 Quattro cameras, along with a selection of lenses, are available from these retailers to try for three days, free of charge.